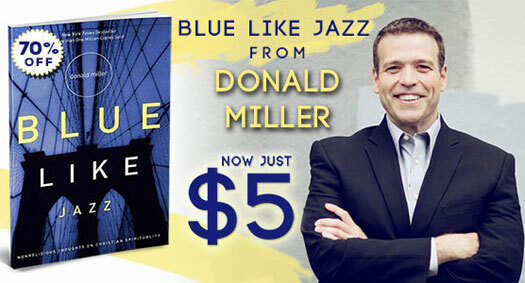 Save 70% off Donald Miller’s New York Times bestseller Blue Like Jazz….now only $5.00! With over 1 million copies sold, Blue Like Jazz is a fresh and original perspective on life, love, and redemption. Get your copy now for just $5 plus your order over $25 ships for FREE! Who is this book for? For anyone wondering if the Christian faith is still relevant in a postmodern culture. For anyone thirsting for a genuine encounter with a God who is real. For anyone yearning for a renewed sense of passion in life.